The sensitive expression on a pharmacist’s face changes to a puzzled one when a customer asks for an emergency contraceptive pill. 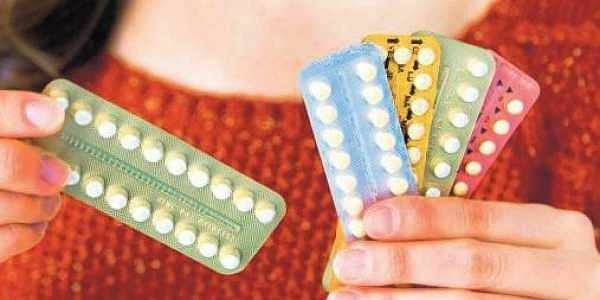 CHENNAI: The sensitive expression on a pharmacist’s face changes to a puzzled one when a customer asks for an emergency contraceptive pill. “The drug has been banned in Tamil Nadu,” a pharmacist in Egmore said. Over a dozen pharmacies have claimed that the drug is illegal. However, K Siva Balan, director of the Tamil Nadu Drug Control Administration (DCA), disagrees. “These pills are crucial to prevent teenage pregnancy and they cannot be made illegal as long as they’re tested for safety. However, these pills cannot be purchased without a prescription,” he said, adding that pills manufactured by some brands contain steroids. One must, however, be able to purchase these drugs with a prescription. “The government has asked manufacturers to not advertise these pills within the state as they come under the scheduled drugs category. Only reputed pharmacies have this drug as the general demand is low,” said K Natarajan from Chennai Chemists Association, adding that pharma companies have reduced advertising the drugs to doctors. He added that despite being legal, pharmacists use “moral” reasons to deny drugs to younger customers. “The drug can be misused by teenagers who are unaware of its composition and side effects,” he said. The presence of steroids and hormone inducers in the drugs can cause side effects when used repeatedly. Women have reported excess bleeding during menstruation, nausea, dizziness and mood swings on using these drugs.“My body reacts differently to the drug each time I’ve used it. I was dizzy for a whole day, the first time I used it. I had no side effects the second time around. When I used it again, I faced the worst pain and my whole body felt weak. I couldn’t go to work for two days,” said Sowmya Ram (name changed), a 26-year-old. “Prolonged use can have dangerous side effects. However, these drugs are mostly safe for one-time use. And must be used only on prescription,” said gynaecologist Dr H Anitha from Government RSRM Hospital.